A firm that is customer focused, friendly and approachable and are available for property maintenance. No Roofing Repair task is too big, or too small, for our roofing experts. Pitched roofs are susceptible to damage, Don't delay, call today. Our services include 24/7 emergency call out cover. Because we are a family firm, we are able to provide a number of building and construction services. 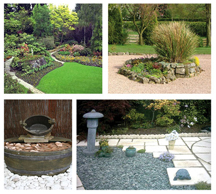 We specialise in groundwork and construction but also undertake driveways, drop kerbs, patios, pathways, fencing, drainage, foundations and extensions. We make sure that the tasks are finished to a high standard. We provide a tree care service, dealing with all types of trees and hedgerow. From trimming, pruning, removing branches, thinning where necessary to complete removals if warranted. Sometimes it is necessary to remove/fell trees, especially if they are diseased or causing problems. After removing the tree itself, we can ground the stump back to ground and treat to ensure it doesn't grown back. It is advisable, once a tree has been felled to remove the stump to avoid fungi or root diseases from growing. It is best to treat the stumps at the time when the tree has been removed since the chemical treatments are more likely to work on freshly cut wood, if this process is delayed then the stump will need further cutting for the chemicals to be effective. If the stump is not treated, new shoots can emerge and the tree will continue to grow. 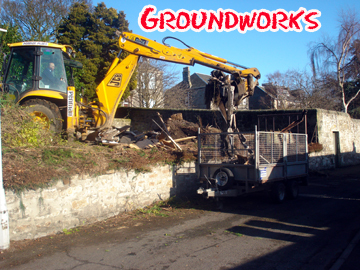 Small trees can usually be pulled out using specialist equipment, such as a winch or mini excavators can be used. Stumps can be ground down, treated, and the roots will naturally rot. We also provide a driveway sealing service to protect the surface of the driveway from weeds for a longer period. Sealing a driveway also enhances the colour.